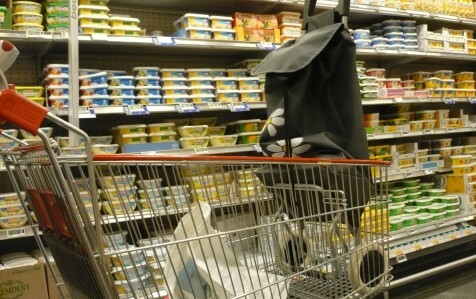 Since the 1960’s, the supermarket has not kept up with the pace of change in our daily life and shopping habits. The shopping environment is in desperate need of reinvention. 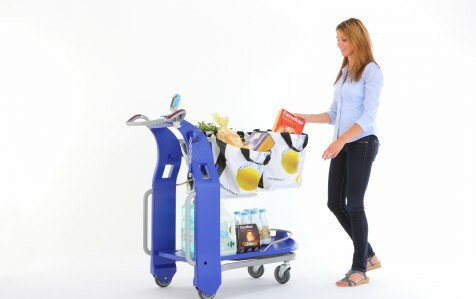 MOBI is all about reinventing one of its icons: the trolley. 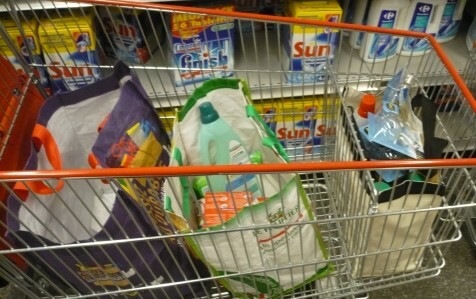 * The ethnographic survey revealed the growing and central role of the reusable shopping bag. 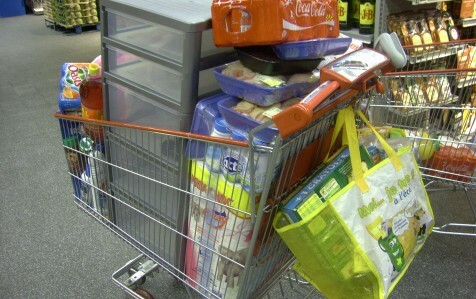 It is already on hand when consumers enter the shop, it is used to pre-store their shopping by product families in the trolley (fresh, heavy, dry, textiles…), to facilitate the checkout process, to make it easier to load into their car, to help carry home and store goods in the refrigerator and the house. * InProcess designed innovation scenarios (stories about ideal experiences) for each of the emblematic pathways through the stores and profiles of Carrefour customers, from mothers with young children and pushchairs on week days to couples at night or retired people with strong routines. 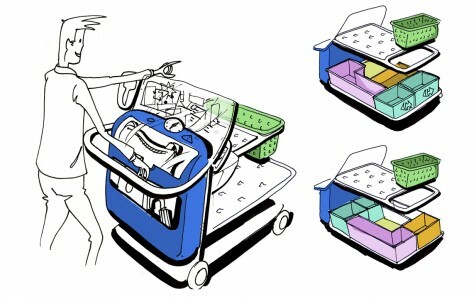 * The scenarios drove the industrial design of a prototype which becomes a simple platform for our shopping bags and facilitates shopping. 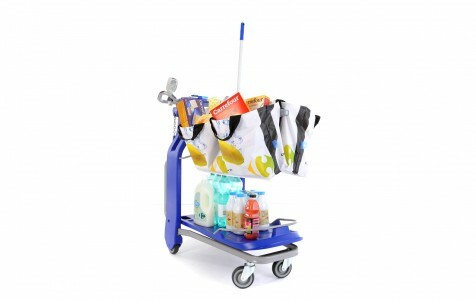 Carrefour’s MOBI removes the wire basket to create a flexible open platform that adapts to each shopper’s needs. 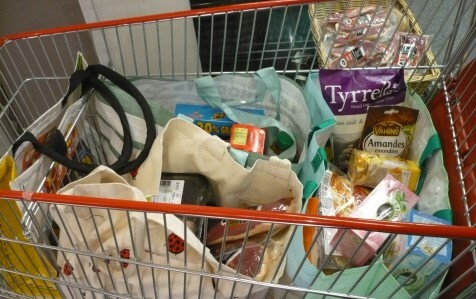 Eco-friendly, it is designed around the reuse of shopping bags. 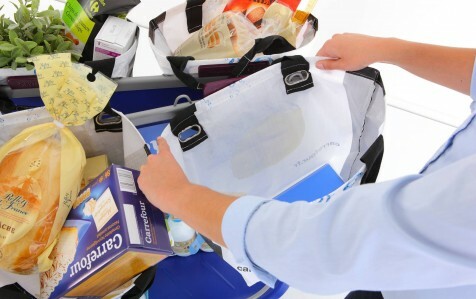 Smaller goods can be pre-sorted per bag (fresh/textile/groceries…) to facilitate checkout, transportation and storage while bulky items fit on a tray. 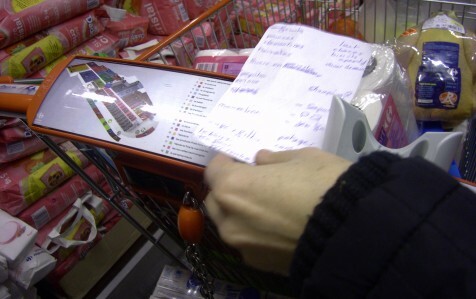 A shopping service hub on the back of the trolley includes lists, shop map and barcode reader. 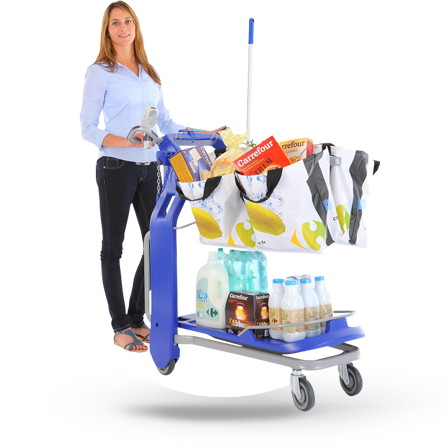 MOBI takes into account the changes in our lifestyles to create a trolley that fits around the social rituals of shopping and answers our functional, social and emotional needs. InProcess brings rare expertise in the field of innovation: the connection between the scientific study of human behaviors and the rigor of the creative act. It is that virtuous combination that has allowed bringing out a relevant solution in a context as complex as the retail. 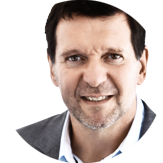 MOBI is a usage innovation for our clients, a true ecosystem that gives an edge to Carrefour.